Greg Gianforte made a mess of things on the eve of the special election in Montana. Mr. Gianforte faced Democrat Rob Quist in the race to see who will succeed Republican Congressman Ryan Zinke’s at-large seat; Mr. Zinke became President Trump’s secretary of the interior. For some local papers, both men ran flawed campaigns. The Bozeman Daily Chronicle refused to endorse either candidate. Yet, at a meet and greet event in Bozeman, The Guardian’s Ben Jacobs wanted to ask Mr. Gianforte about the CBO score on the GOP health care bill. 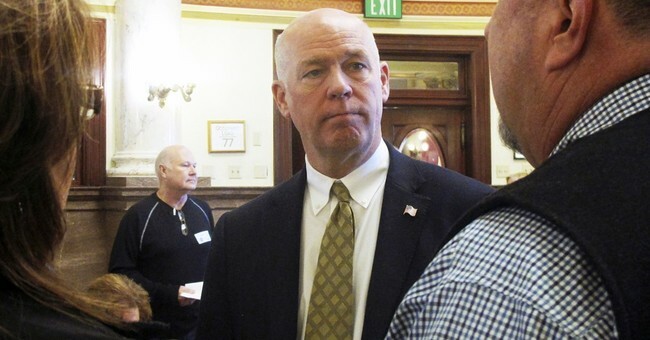 Gianforte, who was audibly irritated, reportedly body slammed the reporter. “When you make a mistake, you have to own up to it. That’s the Montana way. Last night I made a mistake, and I took an action that I can’t take back, and I’m not proud of what happened. I should not have responded in the way that I did, and for that I’m sorry. I should not have treated that reporter that way, and for that I am sorry Mr. Ben Jacobs." Mr. Gianforte held a 12-point lead over Quist in a Gravis poll from April, though it seems the absentee advantaged he enjoyed alone would have been enough to put him over the top.